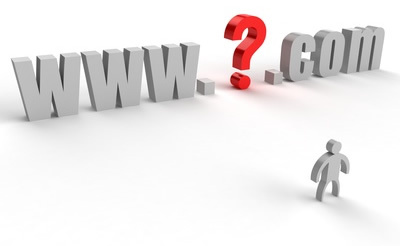 What is the domain name and why it is important to have one? Often while giving the name to your website, the biggest problem that comes up is giving it the right domain name. It is the embodiment of your brand, its product, and services. Furthermore, the domain name is the unique identity of your brand on the internet; hence, it should be effective, attractive and memorable to create top of the mind recall and should drive traffic to your website. One of the most important aspects that business people are targeting is getting high ranking on search engines. Whether it is Google, Bing or any other search engine, achieving high ranking on these search engines is of utmost importance for companies. Before heading further let us have an understating of TLD and SLD i.e. Top Level Domain and Second Level Domain. Top Level Domain – TLDs are the main domain in the web world, although there are many of them yet .com, .net and .org are the most important one. Second Level Domain –SLDs are the portion of the URL that identifies the website’s domain name. They are just below Top Level Domain. For example in the domain name beautysecrets.com, beauty secrets are Second Level Domain and .com is Top Level Domain . The question that comes up is why domain name plays such a critical role and how does it impacts SEO? In the competitive world today when everything has gone online, it has become vital for companies to have their online presence felt and at the same time generate more and more web traffic ; domain name plays a crucial role here, let us understand how to have a domain name that can impact your online presence . Using keywords and brand name as part of your domain is very important; using the most searched keywords will drive the web traffic to your website. Having a keyword rich domain will help you, firstly gain ranking on search engine and secondly, it also helps to drive the web traffic as the consumer uses the keywords to search a particular product or service website. However, Google has introduced some changes regarding the usage of keywords in domain name. So you need to carefully tread while settling down with a domain name. Easy to type – your domain name should be easy to type for the people, a complex name might create a negative impact. Using slang or words with multiple spelling options might create a complexity for customers. Research about the domain name – Ensures that the name you have finalized for your website is not a registered or trademarked. It might create legal issues later. Prefer using .com and protect the domain name – Use an appropriate extension, stress on using a .com extension which is the most popular extension .Protect your domain name, purchase extensions as soon as you finalize the domain name, this will protect it from competitors. Act Smart – Also keep in mind to purchase the misspelled versions of your domain name, this will ensure that the customers are always directed to your website. Try to keep your domain name short and simple, this will be easy to remember. Review your domain name before finalizing it– You should always stress upon your domain and how does it turn out, there are companies that didn’t take much care about their domain name and the result was a blunder, to quote a few: therapistfinder.com (therapist finder), sppedofart.com (speed of art) etc. To sum it up, domain plays a critical role in SEO and site management hence choose it wisely. It is advisable not to harp too much on the keywords rather stress more on using the domain name as a tool to protect and develop the brand.